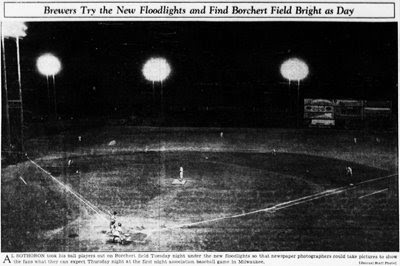 On June 6, 1935, the Brewers took the field for the first time under Borchert Field's new floodlights. 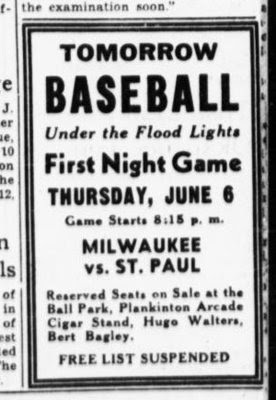 Milwaukee wasn't the first American Association club to go electric - in 1931, the Columbus Redbirds had installed lights, and the following year they outdrew their parent Cardinals 310,000 to 279,000. When Redbirds General Manager Larry MacPhail jumped up to the Cincinnati Reds after the 1933 season, he dragged the big leagues into the Electric Age. 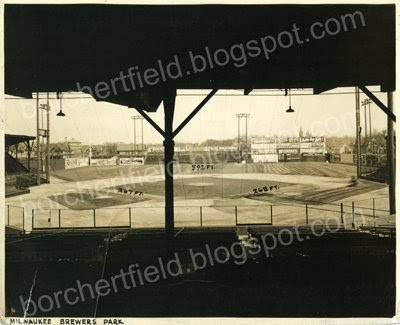 The first major league game played under floodlights was at Crosley Field on May 24, 1935 as 20,422 fans watched the Reds down Philadelphia Phillies, 2-1. 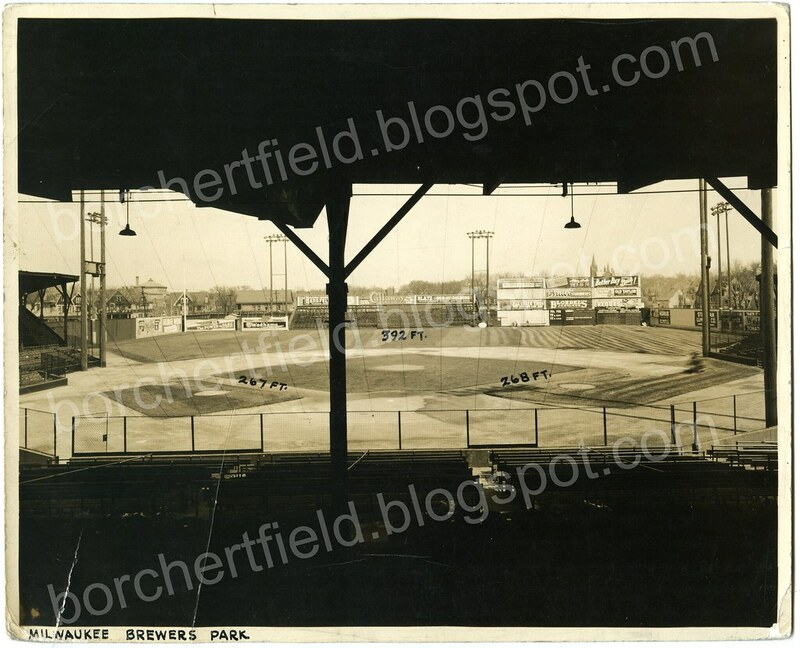 As with Columbus, night baseball was a success in Cincy - the seven night games averaged 18,620 spectators, far and above the 4,700 average the remaining 69 home games drew.